The long holiday weekend is over and so it’s back to the kitchen to finish up the 4 Weeks to Fill Your Freezer series with Money Saving Mom. This has been a great challenge to complete….I am loving my super full freezer! 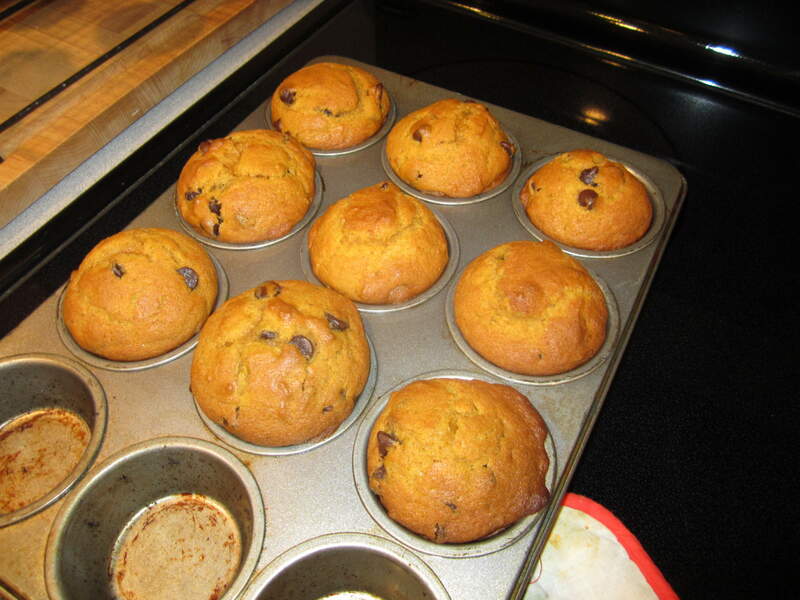 Today we made one of my family’s favorite treats…Pumpkin Chocolate Chip muffins! Whenever I make these muffins, they disappear faster than you can blink an eye (well, almost that fast)! 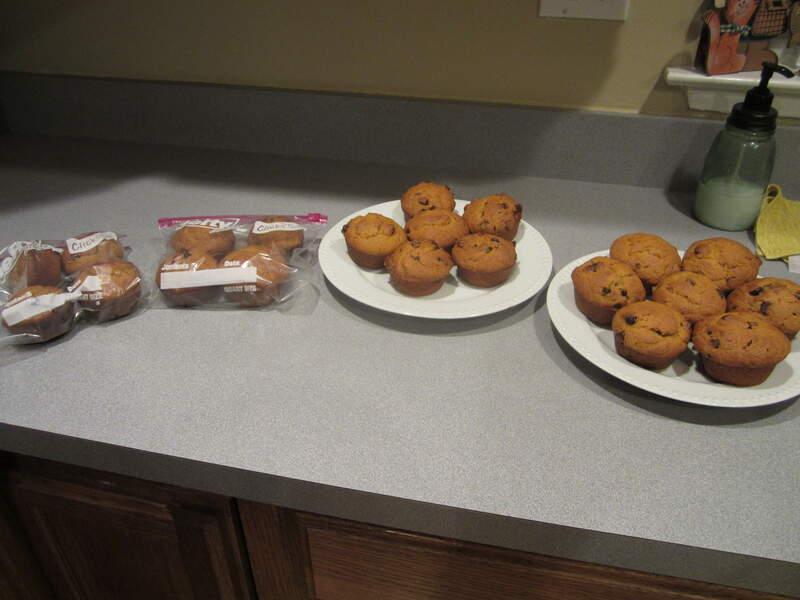 I have tried to put these muffins in the freezer before, but I end up getting them back out a day or two later and we eat them all up, they are THAT good. The batter comes together very easily. 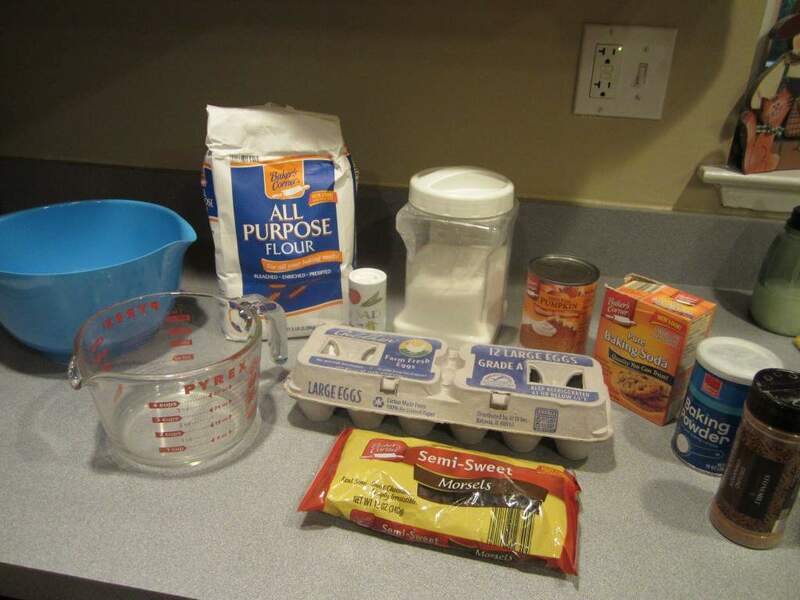 I mix up the dry ingredients in my big mixing bowl and then use my big measuring cup to mix the wet ingredients, after using it to measure out the oil. 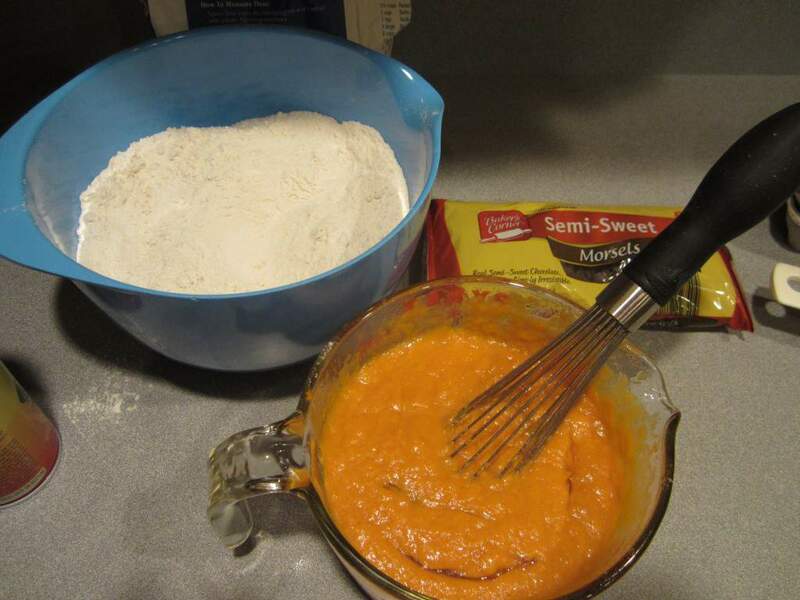 It makes it simple to pour the wet ingredients into the dry to finish the batter. I always use less oil than the recipe calls for (about 1 cup). 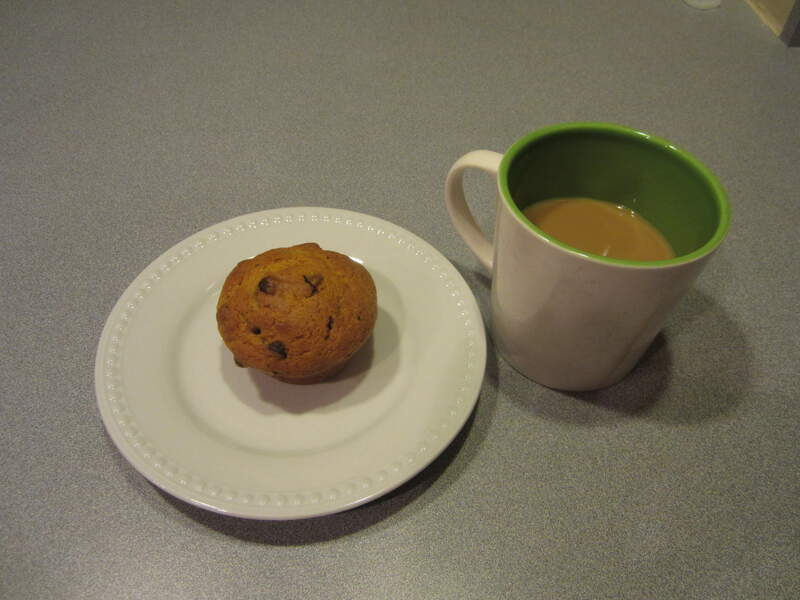 I found in the past that the muffins had so much oil in them that the would leave oil spots on the plate/napkin. I tried cutting out part of the oil and found that 1 cup is about right for me. I baked these tonight after dinner while the kids were taking their baths, and in between some laundry and mopping. I put 8 muffins in some small freezer bags to hide in the freezer and put the rest on some plates to wrap up for breakfast tomorrow. I made these too. You are right these are really good. My husband who doesn’t eat squash of any kind ate one and liked it. I didn’t tell him there was pumpkin in them. Mine turned out a little lighter in color because I used frozen pumpkin instead of canned, but they sure do taste good. I’m so glad I gave this recipe a try.